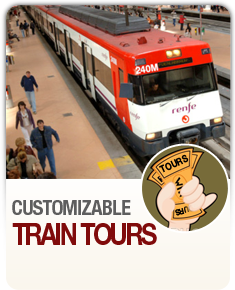 Palace Tours is the Official Representative Agent of Renfe in the United States. 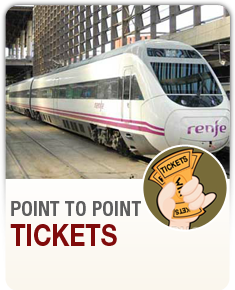 You can book point to point tickets as well as the Train Pass for Spain for multiple journeys with us. 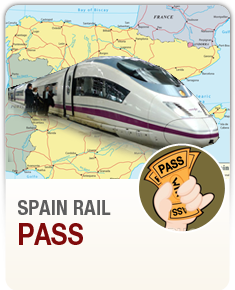 Want Tickets from Madrid to Barcelona on the High Speed Train? Want to book a trip from Barcelona to San Sebastian? No need to worry about changing rates as time goes on! No "quota" - if it's available, it is bookable! Do you like to travel independently but with some structure? Don’t want to Drive? Want to experience one of the best Rail Networks in the World? Choose your Route of Spain. We give you your first arrival transfer in Madrid or Barcelona, your hotels, train tickets and hop on hop off bus tickets to see the cities on your own. 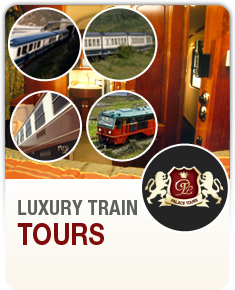 Your tickets and travel vouchers will reach you before you travel. Spain has the world’s most luxurious trains.